on mount, by unknown hand, lower left in graphite: Charles; lower right, encircled: 125. 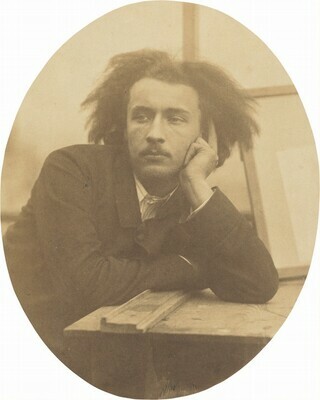 Pierre Marc Richard, Paris; (sale, Drouot Richelieu, Paris, 8 June 2011, Lot 125); (Charles Isaacs Photographs Inc., New York); NGA purchase, 2011. Charles Marville: Photographer of Paris, National Gallery of Art, Washington; The Metropolitan Museum of Art, New York; The Museum of Fine Arts, Houston, Houston, 2013 - 2014, no. 5.